Planning means to decide in advance what is to be done. It charts a course of actions for the future. It is an intellectual process and it aims to achieve a coordinated and consistent set of operations aimed at desired objectives. Yields reasonable organizational objectives and develops alternative approaches to meet these objectives. Helps to eliminate or reduce the future uncertainty and chance. Helps to gain economical operations. Lays the foundation for organizing. Dictates those activities to which employers are directed. a) Responsibility: responsibility n an organization is divided among available personnel by grouping the functions that are similar in objectives and content. This should be done in a manner that avoids overlaps and gaps as much as possible. Responsibility may be continuing or it may be terminated by the accomplishment of a single action. b) Authority: when responsibility is given to a person, he must also be given the authority to make commitments, use resources and take the actions necessary to carry out his responsibilities. Staffing is the selection, training, motivating and retaining of a personnel in the organization. Before selection we have to make analysis of the particular job, which is required in the organization., then comes the selection of the personnel. It involves manpower planning to have the right person in the right place and avoid “square peg in the round hole”. 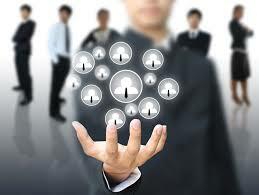 Manpower planning involves the following steps. 1. Scrutiny of present personnel strength. 2. Anticipation of manpower needs. 3. Investigation of turnover of personnel. 4. Planning job requirements and job descriptions. Directing means the issuance of orders, assignments and instructions that permit the subordinate to understand what is expected of him, and the guidance and overseeing of the subordinate so that he can contribute effectively and efficiently to the attainment of organizational objectives. Order should be based on obvious demands of a particular situation, it seems logical to the subordinates and not just an arbitrary whim of the manager. The tone of the order is very important. The manner in which the manager delivers the order has a great deal to do with its acceptance by the subordinate. Whenever possible, the reason for the order should be given. A subordinate will accept an order more readily if he understands the need for it. In some instances the manager uses delegation of authority instead of issuance of orders for avoiding too many specific orders. Supervision is the activity of the management that is concerned with the training and discipline of the work force. It includes follow up to assure the prompt and proper execution of orders. Supervision is the art of overseeing, watching and directing with authority, the work and behaviour of other. Leadership is the ability to inspire and influence others to contribute to the attainment of the objectives. Successful leadership is the result of interaction between the leader and his subordinates in a particular organizational situation. There are number of styles of leadership that have been identified such as autocratic, democratic participative leadership. The continuum of leadership styles, ranges from the completely authoritarian situation with no subordinate participation to a maximum degree of democratic leadership, enabling the subordinate to participate in all phases of the decision making process. Motivation refers to the way in which the needs (urges, aspirations, desires) control, direct or explain the behaviour of human beings. The manager must motivate, or cause, the employee to follow directives. Communication is the passing of information and understanding from a sender to receiver. Communication is vital to the directing function of the management, one way to visualise this importance is to view the manager on one side of a barrier and the work group on the other. Communication is the means the manager has of reaching through the barrier to attain work group activity. It is the act of synchronising people and activities so that they function smoothly in the attainment of organization objectives. Coordination is more important in the health services organization, because functionally they are departmentalized. Different kinds of organization require different amount of coordination. Corrective co ordinations are those coordinative activities that rectify the present error or correct a dysfunction in the organization. Preventive coordination comprises those coordinative activities that are aimed at preventing the occurrence of anticipated problems of coordination, or at least minimizing the impact of these problems. Regulatory coordination comprises those coordinative activities that are aimed at the maintenance of existing structural and functional arrangements in the organizations. Promotive coordination has those coordinative activities that are aimed at attempting to improve the articulation of the parts of the organization, or to improve the existing organizational arrangements without regard for specific problems. Controlling can be defined as the regulation of activities in accordance with the requirements of plans. The control function, whether it is applied to cash, medical care, employee morale or anything else, involves four steps. 3. Comparing the actual results with the standards. 4. Correcting deviations from standards. Reports are oral or written exchanges of information shared between caregivers or workers in a number of ways. A report summarizes the services of the person, personnel and of the agency. Reports are written usually daily, weekly, monthly or yearly. To show the kind and amount of services rendered over a specified period. To illustrate progress in reaching goals. To interpret services to the public and to the other interested agencies. Records and reports must be functional, accurate, complete, current organized and confidential. Budgeting, though primarily recognized as a device for controlling, becomes a major part of the planning process in any organization. It is expressed in financial terms and based on expected income and expenditure. Budget is the heart of administrative management. It served as a powerful tool of coordination and negatively an effective device of eliminating duplicating and wastage. Should be synthesis of past, present and future. Should be product of joint venture & cooperation of executives/ department heads at different levels of management. Managers address complex issues by planning, budgeting, and setting target goals. They meet their goals by organizing, staffing, controlling and problem solving. The nurse manager can assist the staff to think strategically about what it is doing and what it should be doing for its clients , for example, in today’s world of cost containment, examining what clients pay for the care they receive from the health care professionals.